“His name is John.” Because names matter – then and now. What’s in a name? After all, “a rose by any other name would smell as sweet.” Shakespeare’s famous play Romeo and Juliet seems to argue that names carry little to no significance whatsoever. Holy Scripture suggests something different. Throughout the arc of our written religious narrative we are shown that names often carry incredible significance. Children were often named after great cultural heroes, or to express an emotion, or to praise God. The Nativity of John of the Baptist is not much different in this regard. 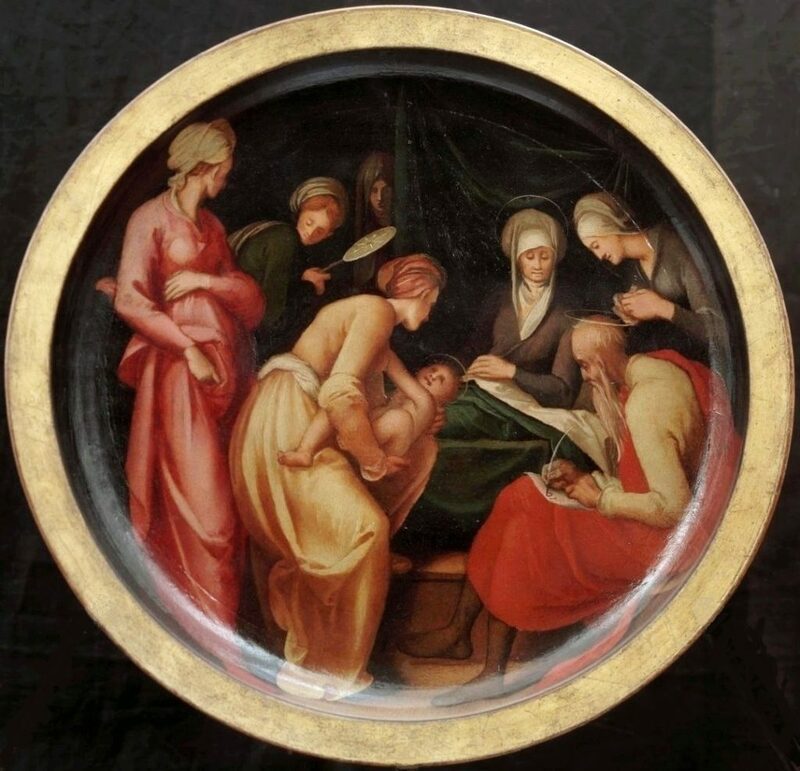 Pontormo’s “Birth of John the Baptist” images the precise moment Zechariah, John’s father, wrote down the name of his son. By Pontormo, Public Domain via Wikimedia Commons. What I appreciate about this scene is how it manages to capture what I would consider to be a pretty chaotic moment. 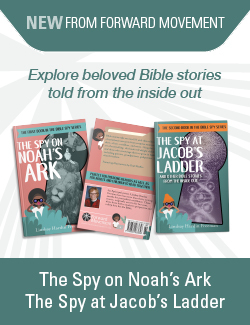 The baby had been born just eight days prior and the time had come to circumcise him, to initiate him into the larger narrative of the Jewish story. The other women who had come to celebrate Elizabeth’s successful birth were wrestling over what to name the child. Elizabeth argued that child should be called “John.” The other women, possibly out of deference for Zechariah, lobbied to name the child after his father. After a bit of arguing they motion to John, who had been mute for months, to get his opinion. He writes down on a piece of paper, “His name is John” (Luke 1:57-63). That is a whole lot to put on a newborn baby, and yet Zechariah knew what his son was destined to do: inaugurate the movement that would prepare the way for Jesus Christ. A few months ago, when I was anxious about making a pretty big decision, I began to do some ancestry work in the middle of the night. As I began tracing my name back through my family, I discovered that my middle name “George” goes back many generations on both sides. I do not know much about most of the men who bore the name “George,” but I do know that I feel very connected to a legacy far larger than myself, sort of like I’ve been inducted into some secret society. That awareness of rootedness gave me the confidence I needed to make a pretty big decision. Names mean a lot. They can both anchor and propel us forward. What does your name mean? Where does it come from? Who had it before you? What unspoken wish was whispered by your birth or adoptive parents when they first named you? What cultural heroes are you connected to by virtue of your name? If you yourself are a parent, what names did you give to your children? These questions may not have any deep answers, but the conversations that they can stimulate are worth the wondering. The Nativity of John the Baptist is a reminder that names matter and that even if a given person feels out of place in their own family or lineage, that might be just the way God has planned it. is your name a break with your family’s traditions?